Sabine R. Huebner is professor of ancient history at the University of Basel, Switzerland. She is the author of Family in Roman Egypt (2013) and Der Klerus in der Gesellschaft des spätantiken Kleinasiens (2005), as well as the co-editor of Inheritance, Law and Religion in the Ancient and Medieval Worlds (2014), The Encyclopedia of Ancient History (Wiley Blackwell, 2012), and Growing up Fatherless in Antiquity (2009). Geoffrey Nathan is a continuing Lecturer of Ancient History at the University of New South Wales. 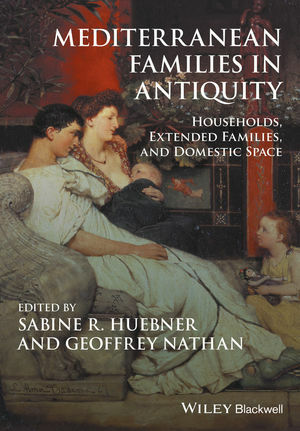 He has published extensively on the topic of family in the Late Antiquity. He is the author of The Family in Late Antiquity, The Rise of Christianity and the Endurance of Tradition (2000). His current projects focus on the Constantinopolitan aristocrat Anicia Juliana, and refugee crises in the Later Roman Empire.